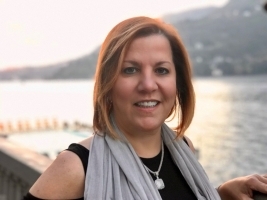 Vicky Garcia is a master of marketing, sales and operations, and is Chief Operating Officer and co-owner of Cruise Planners, the largest network of home-based travel agents in the United States. She's quick witted and knows what is going on behind the scenes and on the front lines at Cruise Planners. As godmother of the Viking Magni, she is passionate about both river and ocean cruising, and is always one step ahead of the competition making her a force to be reckoned with. Vicky has been named Top 25 Influential Business Women and serves on many industry and philanthropic boards including The Leukemia & Lymphoma Society (LLS) and the International Gay & Lesbian Travel Association (IGLTA). Garcia is the champion of Cruisitude™ and an enthusiastic advocate of Cruise Planners’ CP Cares™ charity.